Welcome to Pioneer Gas FurnacePioneer Gas Furnace: HVAC installation replacement service of new high efficiency green Natural Gas Furnaces; Home Heating Systems repair Contractor for Portland, Oregon. Home Heating, Cooling, & Air Filtration for Portland, Oregon homes. Pioneer Gas Furnace prodives timely, professional, accurate and manufacturer-authorized installation & service for your Portland, Oregon home natural gas furnace, air conditioning and air filtration systems. For your Portland, Oregon home heating needs, Pioneer Gas Furnace specializes in natural gas furnaces, heat pumps, and natural gas fireplaces. Pioneer Gas Furnace is a Portland, Oregon authorized retailer and installation contractor for Carrier™ gas furnaces, Carrier™ Hybrid Heat home heating systems, as well as Amana™ and Rheem™ natural gas furnaces, heat pumps, and home heating systems. Pioneer has been providing Commercial HVAC installation and service to commercial buildings, institutions, schools, churches, light industrial, as well as residential construction projects since 1977! 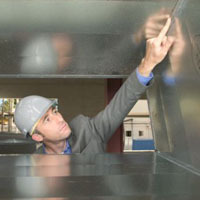 Including central Natural Gas heating systems, central forced air conditioning, heat pumps, and air handling systems. Pioneer Gas Furnace is a Portland, Oregon authorized retailer and commercial installation contractor for Carrier™ gas furnaces and air-handling systems. Pioneer Gas Furnace is a factory-authorized service representative for Carrier, Amana, Rheem, Comfortmaker, and many other brands of both Home Heating Oil and Natural Gas furnaces. Did you know you need to have your furnace serviced every year? 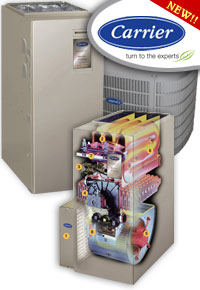 Convert your home heating oil furnace to a clean, high-efficiency natural gas furnace. Now is better than ever, with rebates, tax credits, and the lower cost of Natural Gas! Get the details on this Seasonal Special!